For a hardcopy of the SABC Directory 2017/2018 please email to info@sabcnow.com. View the electronic version of the SABC Directory. 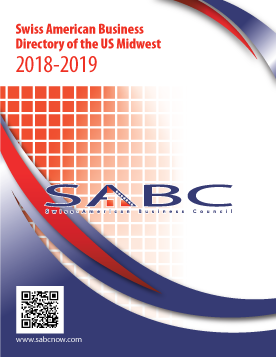 The Directory includes a wide range of companies and professionals who have ties to the Swiss-American business community, particularly in the Midwest region. The Directory is widely circulated, both in hardcopy and electronic from, to thousand of business professionals throughout the U.S., Canada and Switzerland.